American jamband KVHW was some sort of spin-off of the Grateful Dead. The band included Steve Kimock, Bobby Vega, Alan Hertz and former Zappa sideman Ray White. Kimock, Vega, Hertz and White, hence the name KVHW. The band existed from January 1998 until December 1999. Ray White's personal problems were eventually too much for the band to deal with and he occassionally was absent from the line-up. Terry Haggerty filled in for a number of shows, and there are some performances with both Terry & Ray. For the last KVHW performance, another famous Zappa frontman, Ike Willis, replaced Ray White (who had been kicked out of the band two weeks earlier). KVHW performed Frank Zappa compositions on a regular basis. comment: official debut of kvhw. 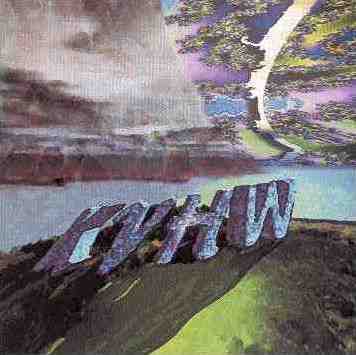 comment: kvhw * mickey hart and planet drum * ratdog * hot tuna * string cheese incident and more. set three was an all star jam with assorted player from the night. (*)kimock sat in. comment: ray arrived late and did not play on the first 2 songs. comment: (*)mr. potato head tease. last ray white show - until 1999/07/16. comment: phil lesh & friends * wilco * kvhw * orixa * zigaboo modeliste * john cleary. comment: one festival with jimmy cliff * burning spear * kvhw * maceo parker * spearhead * b-side players. comment: terry hagerty's last show? comment: ray white doesn't show up and is kicked out of band. comment: this is the last kvwh show as the band changes it's name to "the steve kimock band".